Khai Chung Ang joined the lab in 2009 as a postdoc and appointed to the position Research Associate in 2014 . After earning his B.Sc. (Bio) in 2003, he began graduate school researching the “Molecular Phylogenetics of the Orang Asli in Malaysia,” which is the first phylogenetics study among the Malaysian native populations. In 2009, he earned his Ph.D. in Genetics from Universiti Kebangsaan Malaysia, Malaysia. Combining anthropology and genetics, KC researches human migration, adaptation, and pigmentation for the East Asian skin color project (EASCoP), which began in 2005. KC’s graduate work with the aboriginal people of Malaysia (the Orang Asli) put him in a unique position to collaborate with Dr. Cheng on the EASCoP: during his graduate studies, he spent 6 years building trust and developing mutual respect with the Orang Asli. This relationship allowed him to collect human DNA and phenotypic data from them and bring it to the States for analysis. Using this data, the EASCoP team are searching for the derived alleles that are fixed in East Asians, which we believe will give us insight into the melanoma discrepancy between Europeans and East Asians, explained in more detail on the EASCoP page. This project has taken him and his team across the globe to study another native population in the Commonwealth of Dominica: the Kalinago. The team is currently waiting for approval from the Dominican government to collect data from the Kalinago population. Both of these populations share a similar genetic ancestry due to recent migration out of East Asia. Studying two populations from different geographical locations (Malaysia and Dominica) will allow the team to mutually validate the candidate alleles as ancient and widespread primary EAS mutations. KC also serves as the Scientific Director of the Penn State Zebrafish Functional Genomics Core since July 2014. Xuying Xin is a post doc in the Cheng Lab. She is on the Computational Phenomics project, working on the synchrotron micro CT imaging of zebrafish, its image visualization and image analysis. Her background is Optical Physics, specifically ultrafast spectroscopy and lasers. She has worked in a photonics lab for five years and developed a terahertz time-domain spectrometer. With this device, she obtained and analyzed the absorption spectrum of different chemicals at room temperature. She is now extending her background to micro CT imaging for biomedical research. Her research interests include the applications of the synchrotron micro CT imaging to the morphological phenotyping of zebrafish at different ages, both wild type and mutants. Arabidopsis, a plant model organism, is also a part of her study. 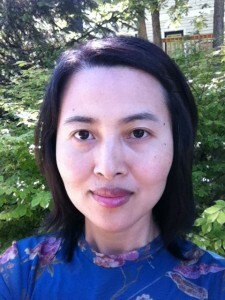 Xuying Xin earned her PhD and Master Degrees in Optical Physics from the City University of New York in 2007, and she earned her bachelor’s degree of engineering from Chongqing University, Sichuan, China in 1999. 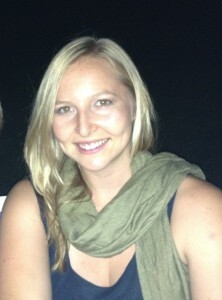 Jean Copper is a Research Technologist in the Cheng Lab, acting as both Lab Manager and Phenome Project Coordinator. In her position as Lab Manager Jean ensures the smooth functioning of the lab by providing all manner of lab support. In her role as Phenome Project Coordinator she is involved in both project management and in the production of Zebrafish Virtual Slides used in the Zebrafish Lifespan Atlas. With a lifetime spent in academic research Jean brings a wealth of experience to the Cheng Lab. Jean received her BA in Biology in 1990 from Hollins University after which she spent several years working at the University of Virginia in the Department of Medicine. 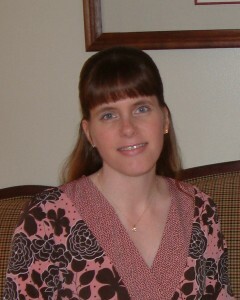 Following a move to Pennsylvania, Jean earned an MS in Biology from Shippensburg University in 1996. Upon the completion of her degree, Jean came to the Hershey Medical Center where she worked in both the Department of Neuroscience and the Department of Pharmacology before joining the Cheng Lab and the Jake Gittlen Laboratories for Cancer Research. Peggy worked at a veterinary clinic while attending Harrisburg Area Community College where she received an AA in Life Sciences. Her interest in animal behavior led her to Millersville State College where she obtained a BA in Psychology. Peggy then worked for a major wholesale pet supply company where she headed the Marine and Reptile Departments. As a Research Technologist she is the Fish Facility Manager for the Cheng lab. Peggy also serves as the Zebrafish Functional Genomics Core Facility Manager. 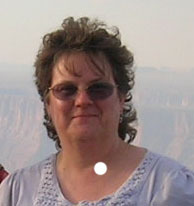 Gail has worked in the Cheng Lab since 2008. She is a graduate of Indiana University of Pennsylvania. In her spare time Gail enjoys gardening. Spencer Katz joined the Cheng Lab in Spring 2016 with a history of innovative biological research and extracurricular interests in presentation, graphic design, and fine arts. From his initial research experiences at the Children’s Hospital of Philadelphia to his undergraduate/postgraduate research at Yale University, Spencer has always pursued cutting-edge scientific challenges. At Yale, he led a team of student researchers for the 2012 International Genetically Engineered Machines (iGEM) competition, which encourages undergraduates to pursue intense, innovative summer projects in genetic engineering. Spencer continued his research for the next two years, working primarily on engineering new biological systems in E. coli with synthetic amino acids. He graduated from Yale with a B.S. in Molecular, Cellular, and Developmental Biology in 2013. Outside of the lab, Spencer has worked as an illustrator and cartoonist for publications including the Yale Scientific Magazine and Yale Daily News, and served on the executive board of the student-managed graphic design club Design@Yale. Through volunteer teaching programs such as Yale Splash/Sprout and the Penn State College of Medicine’s Pulse, he has shared his passion for topics such as genetic engineering, optics and microscopy techniques, and the future of cancer research with high school students in New Haven and Central PA. In Hershey, Spencer has taken on leadership roles as a medical student Curriculum Representative and the first President of the History of Medicine Society. Tiffany Foster is extending the impact of the lab’s research by developing collaborations and writing white papers. Her background is in ecology and aquatic research in academia and state government. After working in the field for several years, she is now taking strides to expand the reach of science by advocating for science-based policies and legislation. Her research interests are generally focused on environmental policy, but specifically focues on legislation regulation the effects of chemicals on organisms. She was also a part of the Computational Phenomics and East Asian skin color projects in the Cheng lab. After earning a bachelor’s of science from University of British Columbia, Tiffany completed courses in Geographic Informations Systems at Penn State University. 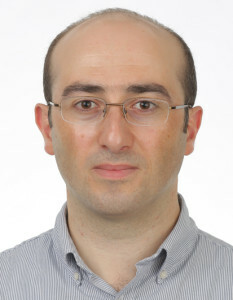 Zurab Tsetskhladze was a research associate in the Cheng lab. His research interests are focused, but not limited to using zebrafish as a model organism for personalized medicine. He has taken strides toward using zebrafish as a model system for testing human coding polymorphism. He developed HuZOR, Humanized Zebrafish Orthologous Rescue, an approach that uses zebrafish pigmentation as a model (organism and phenotype, respectively) to test the application of zebrafish for personalized medicine. Recently, he discovered a putative transposable element (TE) in zebrafish, which may be the first active TE element found to affect phenotype in zebrafish. After completing his BS (physics) in 1999, Zurab pursued and completed a MS in biophysics in 2001, both at Tbilisi State University (Georgia). His masters focused on thermal denaturation of proteins in tissue using Electron Spin Resonance (ESR). In 2006, Zurab earned his PhD from the Institute of Molecular Biology and Biophysics (Georgian Academy of Science, Tbilisi). During his PhD he studied the role of ADP-Ribosylation in the nuclear matrix, which revealed that the activity of DNA-topoisomerase II can be modulated by ADP-Ribosylation. David Mandrell is an engineer who is working on developing a high-throughput screening tool for the zebrafish phenomics project. He came to Pennsylvania by way of Oregon State University where he was responsible for developing the hardware behind their high-throughput toxicology screening. Working with commercial micro-CT machines and the Advanced Photos Source (APS) and Argonne National Labs, David is responsible for designing, manufacturing, and implementing a new breed of high-speed computed tomography tools capable of imaging entire zebrafish at cellular resolution. 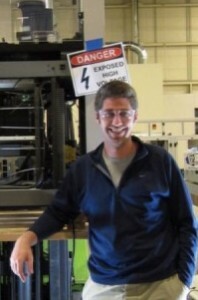 Steven Peckins was the programmer and webmaster behind the online component of the zebrafish atlas project and also the systems administrator for the Cheng lab. He has a B.S. in neuroscience with a math minor from the University of Scranton. 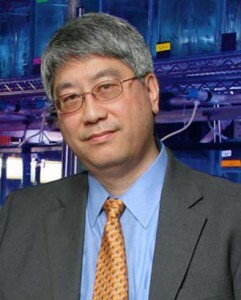 He currently is at the National Center for Supercomputing Applications. Katherine Reid adds an unusual element to the lab mix: with a background in writing and editing, she was initially brought on board to tutor the lab’s international postdocs in English and assist with grant preparation. Her role has evolved to collaborate with Dr. Ang on the East Asian skin color project (EASCoP) beginning in 2012. Her research interests in skin color expand beyond the increased risk for melanoma inherent in lighter skin and the quest for a greater understanding of the disease. Questions of skin color have deep sociological implications for the ways humans interact, identify themselves, and ascertain self-worth. She is currently working to use the lab’s discoveries about the shared origins of skin color to bring a fresh perspective to our ongoing societal discussion of race. 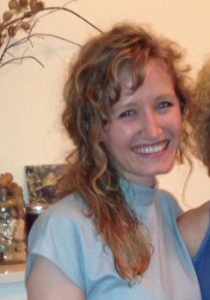 After earning a Bachelor of Arts in English from Messiah College, Katherine completed a 100-hour TESOL/TESL/TEFL certification through Oxford Seminars. 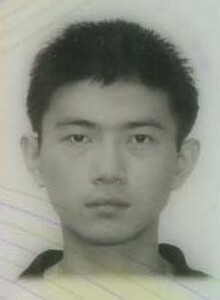 Feng Sun assumed this post-doc position after receiving his Ph.D in computer science from the University of Hong Kong. He is a member of the computational phenomics team. His research interests are computational geometry, computational topology and their applications in biology and medicine. Collaborating closely with experts in Cheng lab, he pushes the utilization of high performance computational power to solve challenges in computational phenomics which are time-consuming, cost-inefficient or even impossible, if done manually. He is currently developing automated tools to accurately recognize nuclei in the histology slides. Steven’s primary role in the Cheng lab is to spearhead the genomic instability project, with the ultimate goal of cloning the two genes responsible for this phenotype and finishing his PhD. He is also involved in supporting roles in the pigmentation, HuZOR, polymerase, and transposon projects. After graduating with a BS in Biology (with a minor in Evolutionary Biology) from Case Western Reserve University, he started at Penn State in the fall of 2006 working toward a PhD in Genetics. Upon his enrollment at Penn State Hershey, Steven was awarded the Graham Endowed Fellowship. In 2009, his personal life lead him to take a two year sabbatical from his thesis research to spend his time as a technician at The Commonwealth Medical College working with Caenorhabditis elegans. Two years later, he gloriously returned to the Cheng lab to continue his work on the genomic instability project.